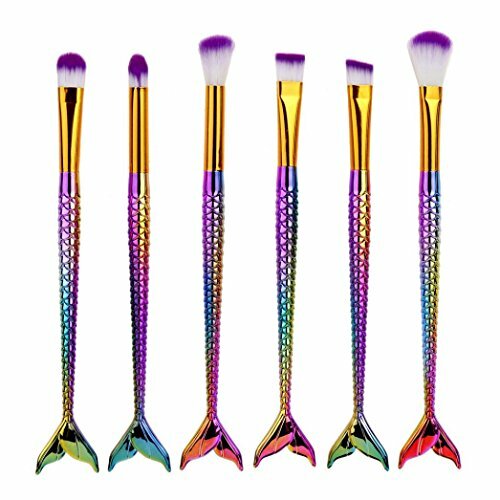 ☆Usually after each use, be sure to use paper towels along the bristle brush direction, remove the residual color and makeup powder. Every two weeks into the diluted shampoo warm water soak cleaning, and then rinse with cold water. Finishing bristles after flat, let the natural dry. ☆STEP1: with makeup water or brush cleaning fluid poured into the honey cover, about a thin layer of completely covered the weight, so that the bristles dip adsorption, slightly attached to the attachment of cosmetics. ☆STEP2: the natural ingredients of the shampoo fell into the basin mix and match the bubble, and then fully mixed with the bubble in the bubble water. ☆STEP3: the brush in the palm of your hand to repeat the grasp, put the way to make the bristles in the residual dirt and make-up completely cleared out. ☆STEP4: and then at the end of the brush, but also the most frequent contact with the cosmetic parts, once again carefully clean. ☆STEP5: Finally, wash the brush with plenty of water, and clean the brine with a clean basin. ☆STEP6: If the brush because of the use of cleaning agents and become too astringent, can be a small amount of conditioner, slightly straighten the hair tail, and the same to a lot of clean water. ☆STEP7: take a few sheets of paper towels or a good degree of water towel, covered with bristles pressed several times, so that the moisture was sucked as far as possible, flat on the ventilated place can be dry. 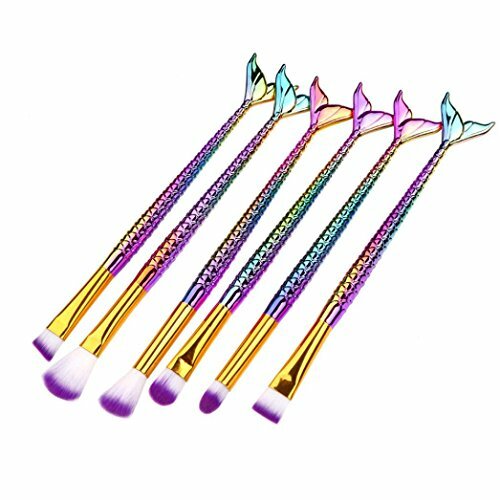 6 x MakeUp Brushes Set✿High quality synthetic hair. Won’t hurt your delicate skin. 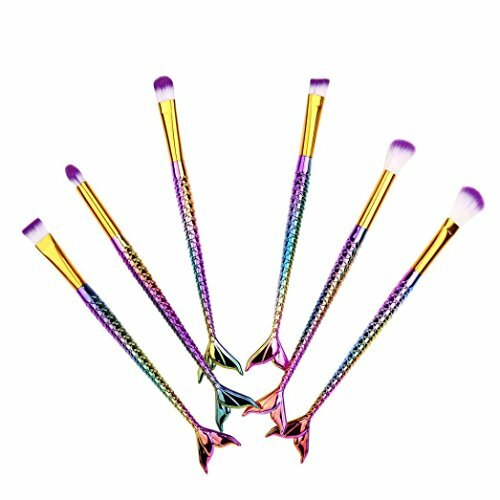 ✿These brushes are perfect for liquids, powders, or creams to produce a beautiful face and eye makeup appearance. ✿Used for basic makeup, Blending, Blush, Eyeliner, Face Powder and so on. Portable and convenient for daily makeup. ✿Suitable for professional use or home use. ✿It is our pleasure to make you beautiful. 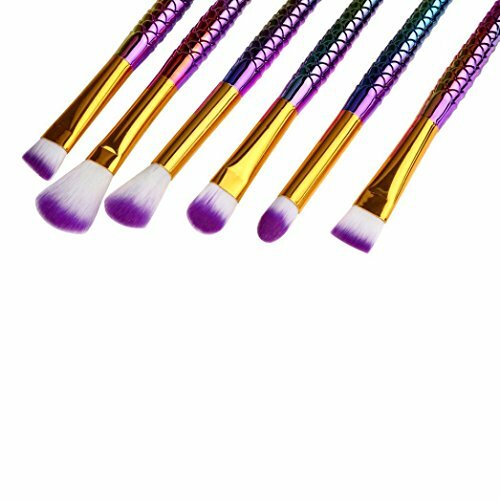 With this high quality makeup brush set you are able to create your personal perfect appearance every day.